When is the P272 change happening? The Office of Gas and Electricity Markets approved a regulation called P272 back in October of 2014 that requires all advanced Non Half Hourly Profile Class 05-08 electricity meters to be moved to the half-hourly market. This new regulation requires certain businesses to use only automated meters that send usage data to energy suppliers on a half hourly basis. The settlement process that results from this new regulation gives suppliers incentives to buy enough electricity to meet what their customers consume. The meters that are affected by the P272 regulation should translate into more accurate bills, but whether customers see an increase or decrease in costs depends on their current usage pattern. Businesses that are affected by this regular can potentially save up to £24,000 each year across all of their sites. Over a period of 10 years, these businesses can save almost a quarter of a million pounds in total; a huge expenditure that can be better-placed elsewhere in your business. It will be necessary to pay for a MOP and DC to maintain and analyse the meter data, but those who have already arranged a contract with a certain MOP and DC will receive a direct invoice from them. Businesses with class 05-08 electricity meters that are accredited and automated half-hours on-site will have half-hours’ prices from 5 November and onwards. 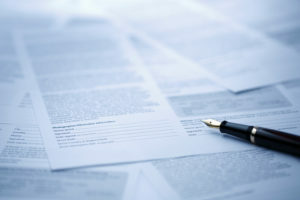 Suppliers will have to move you to half-hourly settlement within 45 days of customer acquisition or contract renewal. Those who do not already have these electricity meters installed on-site will have until April of 2017 to install half-hourly meters that meet the requirements of the P272 regulation. 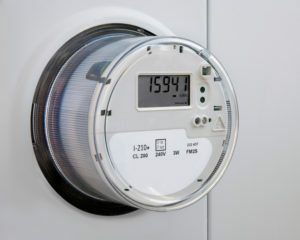 Larger non-domestic consumers that are already settled on estimates will have meters that record consumption data on a half-hourly basis starting 6 April 2014. Those who are wondering how to go about preparing for the new P272 regulation will need to ensure that their Class 05-08 electricity meters have a half-hourly MOP and half-hourly DCDA Contract in place. DCDA starts for Data Collection Service, and MOP stands for Meter Operator Contract. Anyone who fails to meet the requirements of the P272 electricity meter regulation will be put onto their supplier’s default MOP or DCDA, which could result in an agreement that is set up automatically instead of adhering to your specific needs. It is important that you take the time to shop around for your business’s DC and MOP so you can save as much money as possible. Those who take the time to do this will be able to save a very significant amount of money each year for every single metering point that can be achieved. This ultimately amounts to a maximum saving of £116m a year. You can use our free and impartial business energy comparison tool to clearly show the price in which you should – or could – be paying for your utilities once the P272 regulations are in full force.